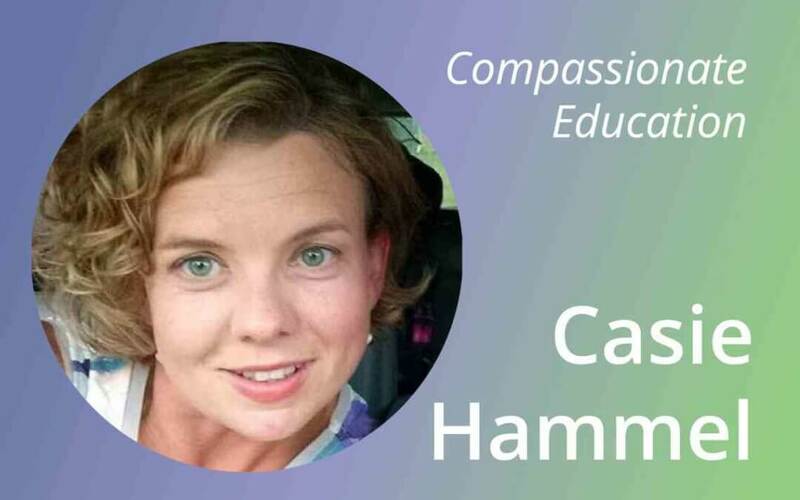 Casie Hammel knows the stories of our students well, and she knows that in order to give students a positive learning experience, these stories should be recognized. Having over 12 years of experience in education and working with families of all different backgrounds, Casie has done incredible work for these diverse families. Casie is currently a social worker for us here at BlueSky and we are incredibly lucky to have her! We strive to give each student the attention and learning style that they crave and the work Casie does here aligns perfectly with that goal. Along with our other educators, Casie’s role is a part of what we like to refer to as compassionate education. It’s simply a way of educating our youth in a way that takes each of their needs and stories into consideration. Casie came into the BlueSky world just as we were developing the curriculum and initiative to bring social workers on staff and she helped us to implement and create our social work team. Throughout these 12 years, our social work team has been able to develop our programs based on what our students’ needs are. Right now we have 4 full-time social workers, 3 of which teach a psycho-social workgroup every semester for elective credits. “We have a class called Mind over Mood for students struggling with depression, and others based on student need.” These classes are designed to meet students where they’re at in their own story. Each class is structured as a support group where students can feel comfortable and open sharing their thoughts and experiences. “I run a class that focuses on dealing with grief, for students that have lost loved ones” Casie isn’t just there for students who reach out, she reaches these students on the levels that they seek. She also teaches a class that is specifically for female students, who are dealing with self-esteem or body image issues. The class is revolutionary in that it allows students to learn about topics like relational aggression and other things that students of this age are dealing with. We are so grateful to have educators like Casie who are passionate about our students and is willing to go above and beyond the curriculum to reach these students on the levels they so crave.